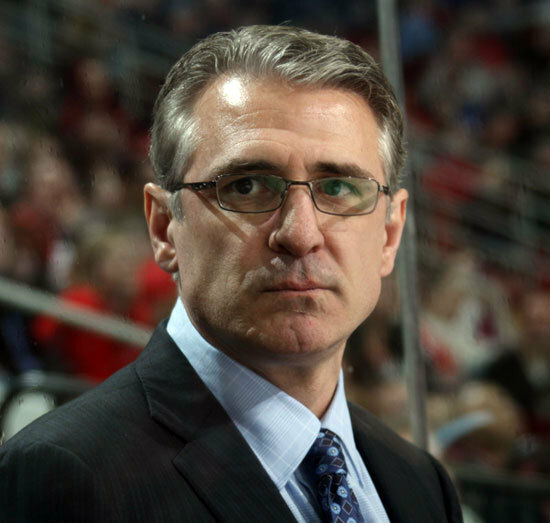 The Carolina Hurricanes have announced that Ron Francis has been named their new executive vice-president and general manager. Francis takes over for Jim Rutherford, who stepped down from both roles. The Carolina Hurricanes have announced that Ron Francis has been named their new executive vice-president and general manager. Francis takes over for Jim Rutherford, who stepped down from both roles. “Based on Jim’s decision to step down as GM, now is a good time to go in a new direction,” Hurricanes CEO and Governor Peter Karmanos said in a statement. "Ron has dedicated himself to learning all aspects of running a hockey team in the past eight years, working in player development, on the coaching staff and in hockey operations. He has proven that he has the work ethic and passion to get the Hurricanes back into the Stanley Cup Playoffs." Francis becomes the eighth general manager in team history and is in his ninth season with the organization in a management role. He previously served as Vice President of Hockey Operations. Francis will oversee all hockey decisions. “I want guys who love to compete, guys that want to come to the rink each and every day, whether it’s a practice or a game, whether they are a little banged up or healthy, and every time they stop onto the ice, they’re going to give me all they have, because I think that’s the only way, as a team, you get to be successful: everybody is buying in and competing hard for each other,” Francis told Michael Smith in a story on the Hurricanes website. Francis joined the Hurricanes in November 2006 as their director of player development after retiring as a player. In October 2007 Francis was promoted to assistant general manager before becoming an associate coach with the team in Dec. 2008. In June 2011 Francis became the Hurricanes’ director of hockey operations. The Hurricanes also announced on Monday the hiring of Mike Vellucci as assistant general manager and director of hockey operations after 14 seasons with the Plymouth Whalers as coach and general manager. Vellucci will oversee scouting and player development in his new position. The Hurricanes also hired Brian Tatum to serve as an assistant general manager. Tatum will be responsible for staff contract negotiations, scheduling, serving as the club’s liason to the NHL regarding matters related to the Collective Bargaining Agreement along with all day-to-day hockey operations administrative duties.